Many people diagnosed with a thyroid condition are surprised that such a tiny gland can have such a profound impact on overall health and well-being. But the thyroid gland plays an enormous role in human health. Throughout life, this busy gland is constantly producing hormones that influence metabolism. When disease causes your thyroid gland to slack off and underproduce thyroid hormone, or overwork and produce too much of it, you'll know something isn't right. Thyroid Disease: Understanding hypothyroidism and hyperthyroidism will help you recognize the symptoms and find the right treatment before you experience the long-term effects of this common condition. Would you know it if your thyroid gland slowed production of thyroid hormone? Or if it sped up? The symptoms are hard to spot. An out-of kilter thyroid gland causes a variety of puzzling symptoms and many people and doctors mistake them for signs of another disease or normal aging. More than 12 million Americans have thyroid disease, many of whom don’t realize it. 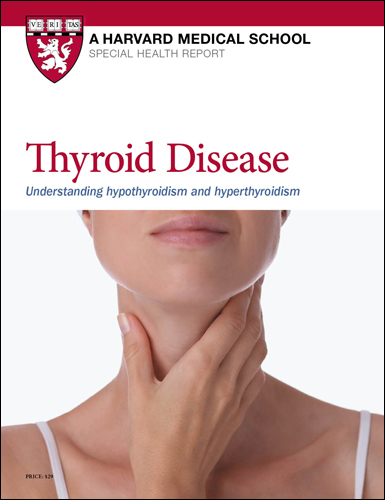 The Special Health Report, Thyroid Disease: Understanding hypothyroidism and hyperthyroidism explains in easy-to-understand language how to know if your thyroid gland is not functioning as it should and what treatment to follow if your levels are too high or too low. Who's at risk for thyroid disease? If you are like many of my patients diagnosed with a thyroid condition, you might be surprised that such a tiny gland can have such a profound impact on your overall health and well-being. But it’s no wonder, when you consider the enormous job your thyroid has. Throughout life, this busy gland is constantly producing hormones that influence your metabolism. So when disease causes your thyroid gland to slack off and underproduce thyroid hormone, or overwork and produce too much of it, you’ll know something isn’t right. An estimated 20 million Americans have some form of thyroid disease, and more than 12% of the population will develop a thyroid condition at some point. The risk of thyroid disease increases with age, so as the population grows older, the number of people with thyroid conditions will likely increase. Yet up to 60% of people with thyroid disease don’t know they have it. Diagnosing thyroid conditions can be tricky, in part because symptoms like fatigue, weight gain, and cold sensitivity mimic those of so many other diseases. To confuse the matter even more, many people have thyroid conditions that are too mild to meet the clinical definition of thyroid disease. This problem is known as subclinical thyroid disease, and it’s far more common than overt thyroid disease. There has been some controversy among health organizations over whether to test for and treat subclinical thyroid disease. 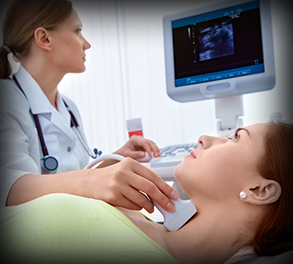 I am confident that with proper treatment, your thyroid problem can be successfully managed. My hope is that this report will help you work closely with your doctor to bring your thyroid hormone levels back to normal, so that you can go about living your life to its fullest.